Take a strip of green paper and fold it concertina-wise. 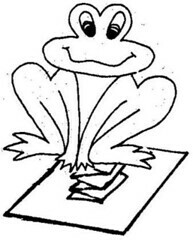 Make a wobbly frog by attaching one end of the concertina-ed strip to the back of the frog, and the other end to the brown cardboard base. 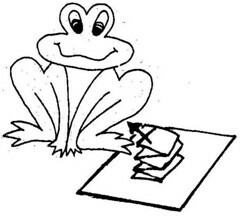 Alternative: Make the frog into a stick puppet by attaching it to a pop-stick.